I have a lot of really good cover songs available for download today that I think everyone will enjoy. The songs come from many different sources and many different artists so you are bound to find something you're in to. First up is the Postelles. They are giving their fans a free download of their latest EP, Summer Undercovers, as a thank you for supporting the release of their first full-length album. You can also download a free single off of that album from Amazon HERE. The EP features the band’s covers of The Smith’s, Joe Jones, Wreckless Eric, and The Ramones. This is also coming off the announcement of their first full US tour. Check out the widget below to start downloading their free covers album. I dig the live Ramones cover. 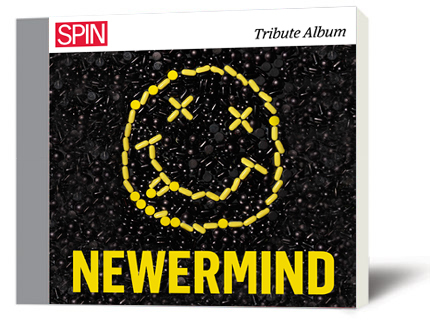 Spin Magazine is giving away a free 13-track tribute cover album to commemorate Nevermind's 20th anniversary. The album features 13 different artists covering every song on the album including the artists Meat Puppets, The Vaselines, and Jessica Lea Mayfield. All you have to do is "Like" their Facebook page to get access to the download. Click here to go to their Facebook Fan Page. And last but not least is Kasey Anderson releasing a free EP of five cover songs. This is my first introduction to Kasey's music but I really enjoyed his mesh of two Townes Van Zandt songs titled Loretta and Rex's Blues. It's a great 7 minute version of these two songs. The other artists covered on this EP are Bruce Springsteen, Robyn, Lyle Lovett, Tom Waits. Great lineup! Download this one for free below or visit his Bandcamp page.